Margaret Fuller (1810-1850) was an American writer, a women’s rights activist, and was associated with the Transcendentalist movement. Fuller was an influential early feminist whose writings had a profound impact on later women suffrage campaigners, such as Susan B. Anthony. – Susan B. Anthony and Elizabeth Cady Stanton, in History of Woman Suffrage. 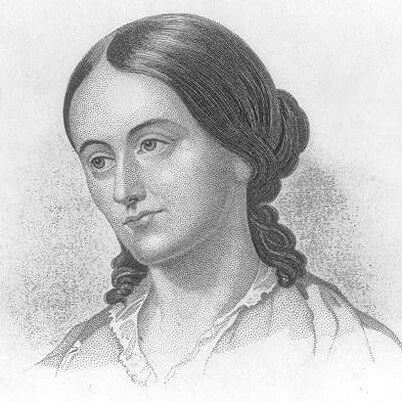 Sarah Margaret Fuller was born 23 May 1810 in Cambridgeport, Massachusetts. Her father was a lawyer and, for eight years, a representative of Congress, enabling him to move in influential political circles. Margaret was educated at home and also at the Boston Lyceum for Young Ladies (1821-22). She was a voracious reader and became well-known for being one of the best read people in New England. She became the first woman to have access to Harvard Library when researching a book on the Great Lakes region. She also became fluent in the classics and several modern languages. Her thirst for knowledge was such that she felt little in common with other girls her own age. She was less interested in more conventional pursuits expected of women, Fuller was hopeful of continuing her studies and beginning a career in journalism. However, after the unexpected death of her father from cholera in 1836, Fuller found herself in a position of having to look after her family. Also, she did not benefit from her father’s estate, with the bulk of the family fortune going to two uncles (her father did not make a will). To supplement her income, she took a job as a teacher in Boston and later Providence, Rhode Island. In 1839, Fuller moved the family to Jamaica Plain, Massachusetts. Fuller began women’s discussion groups where Fuller would lead talks about the role of women in society. In 1844, she moved to the New York Tribune, where she became a literary critic and later – the New York Tribune’s first female editor. It was a meteoric rise for Fuller. She frequently broke gender barriers, taking roles rarely allowed for women. She had a very strong personality – contemporaries say she had great self-confidence and self-belief in her own capacities. – As reported by Ralph Waldo Emerson in Memoirs of Margaret Fuller Ossoli (1884) Vol. 1, Pt. 4. – As quoted by Joseph Jay Deiss in “Humanity, said Edgar Allan Poe, is divided into Men, Women, and Margaret Fuller” in American Heritage magazine, (August 1972). In 1846, Fuller was sent to Europe as a foreign correspondent for the New York Tribune. She met leading literary figures of the day; she also met the Italian revolutionary Giuseppe Mazzini. In 1848, she secretly married Giovanni Angelo Ossoli, a former marquis disinherited by his family because of his support for the revolutionary Mazzini. Their relationship was kept secretive for several months, though after the birth of their child – Angelo Eugene Philip Ossoli, they became less so. In 1849, they became involved in Giuseppe Mazzini’s fight for the establishment of a Roman republic. Fuller worked as a nurse, whilst her husband fought. In 1850, the couple took a boat back to America. But, on 19 July 1850, the returning ship hit a sandbank. The ship was abandoned amidst crashing waves and Fuller was never seen again. She had previously written of feeling bad omens about her fate. Her last manuscript on the Roman republic was lost. After her death, a short biography was published, which proved popular. Fuller was interested in a range of social topics. She believed in social reform from women’s rights to the prison system. In particular, she believed women had a right to a full education. She felt a complete education would enable women to be more independent and enable a wider horizon of possibilities than the social conventions of the Nineteenth Century allowed. She also abhorred slavery and felt the Native Americans had been unfairly treated. She wrote extensively on a range of social issues from homelessness to women’s equality and played a role in promoting progressive ideas, which were later taken up by women rights activists and social campaigners. She was good friends with Ralph Waldo Emerson, Emerson admired his vivacious friend, though Fuller criticised the Transcendentalist concern with personal transformation because she felt the necessity for social reform. Citation: Pettinger, Tejvan. “Biography of Margaret Fuller”, Oxford, UK – www.biographyonline.net. Published 12th August 2014. Last updated 25 January 2018. Women’s Rights Activists – Women who championed the cause of women’s rights. Including Mary Wollstonecraft, Emily Pankhurst, Susan B.Anthony and Elizabeth Cady Stanton. Fuller appears as one of the generational tradition that includes Emerson, Thoreau, and Whitman that runs parallel with a comparable generation of working people activists such as leaders of the Workingmen’s Party, the Lowell Female Labor , , , Assoc, and William Sylvis — almost reaching the literary Realists, on the one hand, and the leaders of the Knights of Labor (Uriah Stephens) and the AFL (Samuel Gompers, etc. ), on the other. 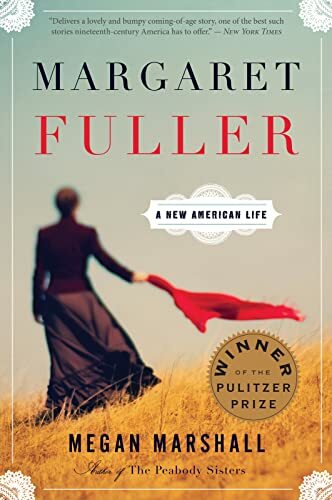 I mean I enjoyed learning about Margaret Fuller I mean she had a strong life growing up but I’m glad she made it through the life that she was living.